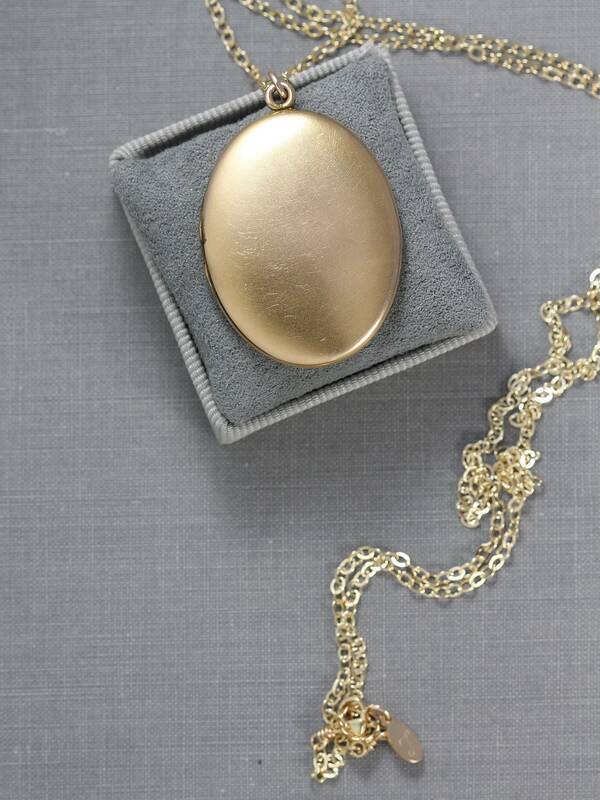 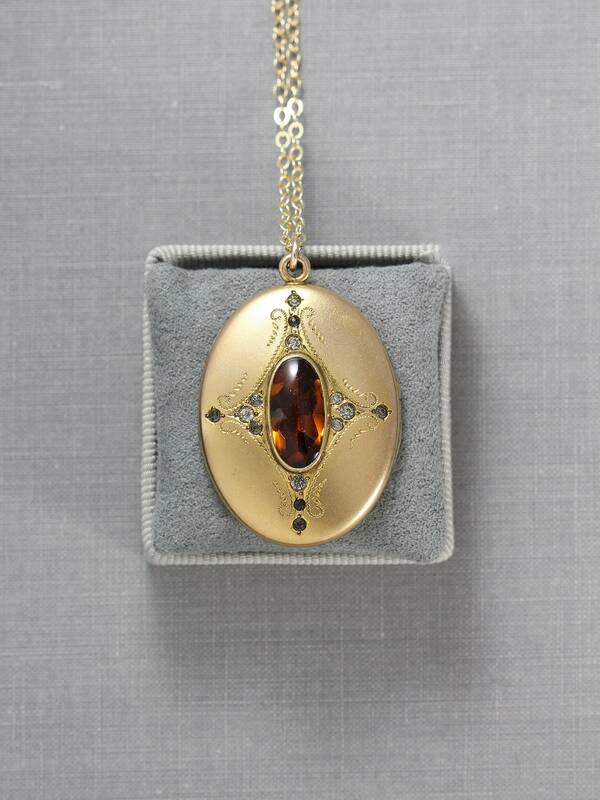 This gorgeous antique gold filled locket features an amber hued oval focal (most likely glass) surrounded by a border of beautiful antique paste stones (antique technique of making faux stones). 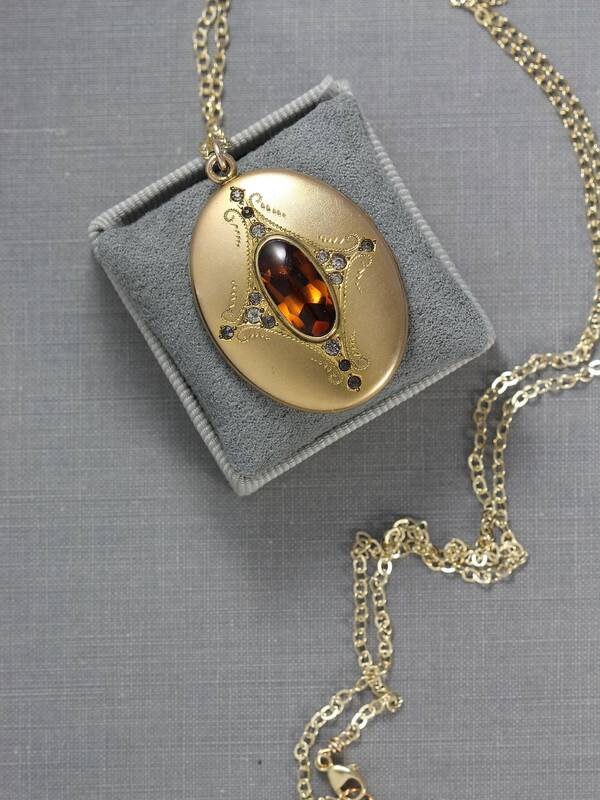 The back of the locket remains plain. 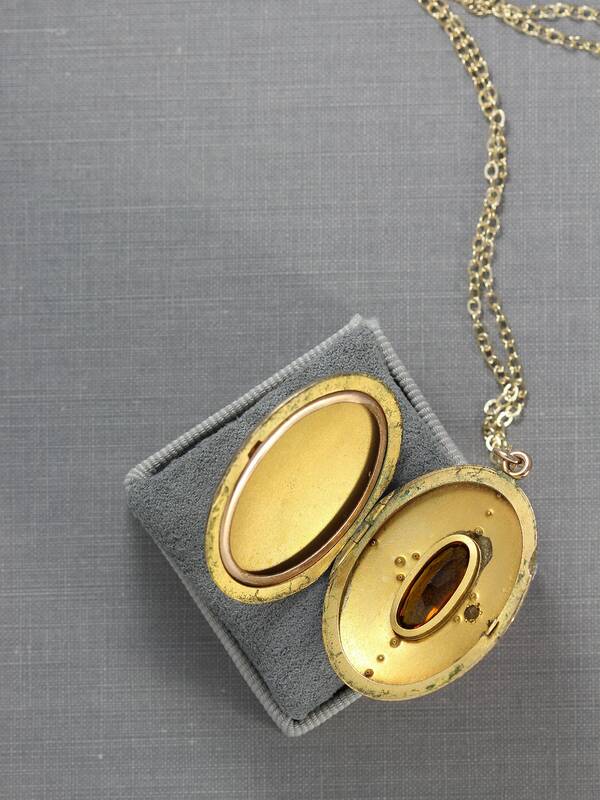 This antique locket opens to reveal one removable frame waiting to hold your beloved photograph along with the signature heart of the Wightman and Hough company which "is your assurance of correct style, exquisite finishes, and dependable quality." 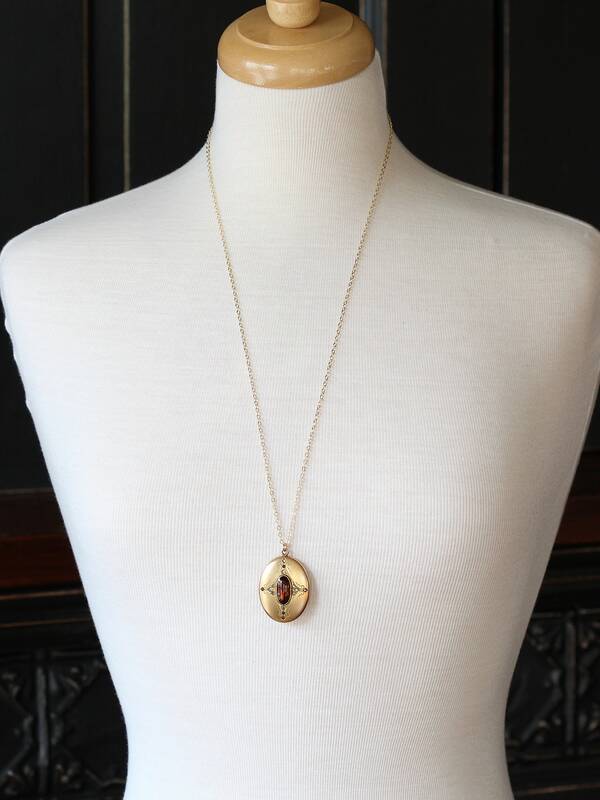 This special and rare locket dangles from a new long 14k gold filled chain hand finished with a trigger lobster clasp and ring.